OCHA’s mandate stems from General Assembly (GA) resolution 46/182 of December 1991, which states: “The leadership role of the Secretary-General is critical and must be strengthened to ensure better preparation for, as well as rapid and coherent response to, natural disasters and other emergencies.” To this end, it also establishes the role of the Emergency Relief Coordinator (ERC), who works with the Secretary-General and the Inter-Agency Standing Committee (IASC) in leading, coordinating and facilitating humanitarian assistance. OCHA is the office that provides support to the ERC and the Secretary-General to meet the leadership and coordination responsibilities charted in GA resolution 46/182. GA resolution 46/182 assigns a clear leadership and coordination role to the ERC for international humanitarian assistance to respond to the needs of affected people. This mandate extends to affected people in internally displaced persons (IDPs) situations and was reinforced by related GA resolutions (including GA resolution 70/165). This was also formally recognized in the Secretary-General’s 1997 reform agenda, which assigned the ERC with responsibility for the overall coordination of assistance to IDPs. The GA expressed support for the reform agenda, and in subsequent resolutions it has emphasized ‘the central role of the ERC’ for coordinating the protection of and assistance to IDPs. The ERC is the global champion for people affected by emergencies and the principal adviser to the Secretary-General on all humanitarian issues. Through the ERC, OCHA amplifies the voices of affected people, champions humanitarian principles and action, and promotes solutions to reduce humanitarian need, risk and vulnerability. At the global, regional and country levels, OCHA convenes humanitarian partners for the coordinated, strategic and accountable delivery of humanitarian action. At the country level, the ERC maintains close contact with and provides leadership to United Nations Resident Coordinators/Humanitarian Coordinators (RCs/HCs) on matters related to humanitarian assistance. Diversity. OCHA believes that the diversity of humanitarian actors is a key asset, and that all stakeholders have a role in saving and protecting lives and alleviating human suffering. OCHA promotes coordination mechanisms and processes that are open for participation to all relevant local and global humanitarian actors. OCHA also respects the distinct mandates and operational independence of a diverse set of humanitarian organizations, while encouraging them to work together through coordination mechanisms. Trust. In a humanitarian system based on voluntary coordination, OCHA believes that mutual trust is the foundation for successful partnerships. OCHA’s non-programmatic coordination role enables it to fulfil its unique function as an honest broker in the humanitarian sector, and to promote trust among all humanitarian actors. OCHA’s mandate is to serve as the humanitarian arm of the United Nations Secretariat. National and local ownership. 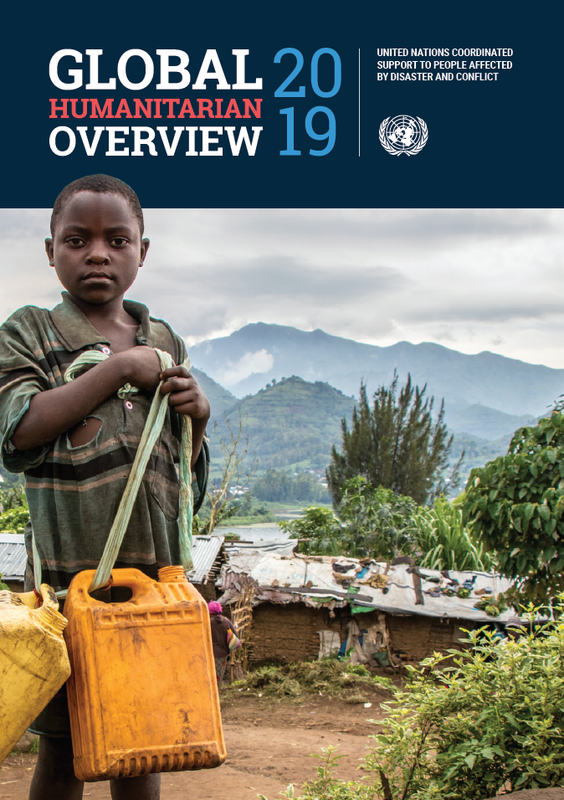 OCHA works in full recognition that Member States retain the primary responsibility for the provision and coordination of humanitarian aid to affected populations. OCHA’s role is to augment national and local coordination capacities, and to promote coordination structures that are complementary to established national mechanisms and capacities. Accountability to affected people OCHA’s primary partners include affected people, Member States, IASC organizations, and national and international NGOs. However, it is guided foremost by the interests of people who need humanitarian assistance. OCHA promotes humanitarian action that is accountable to affected people, and it facilitates coordination approaches that integrate gender, age, disability and other vulnerability considerations into all aspects of humanitarian response. Gender equality. Gender equality and the full participation of women and girls are fundamental to effective humanitarian action. Recognizing and addressing the differing needs, priorities and capacities of women, girls, boys and men of different ages and abilities are critical to ensuring gender equality in humanitarian action. OCHA’s Strategic Plan presents OCHA’s vision, overarching goals and strategic objectives. 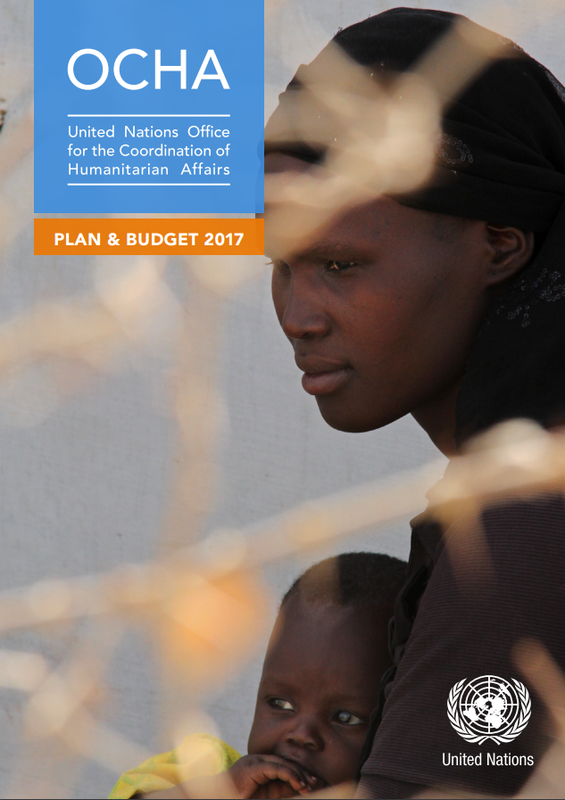 A related Management Plan explains how OCHA will strengthen its operations to deliver against this plan. The resolution also created the high-level position of Emergency Relief Coordinator (ERC). This new function would combine into a single United Nations focal point the functions carried out by the Secretary-General's representatives for major and complex emergencies, as well as the United Nations' natural disaster functions carried out by the United Nations Disaster Relief Organization. In 1998, as part of the Secretary-General's programme of reform, DHA was reorganized into the Office for the Coordination of Humanitarian Affairs (OCHA). Its mandate was expanded to include the coordination of humanitarian response, policy development and humanitarian advocacy.